Dr. Angela possesses a warm and friendly chair-side manner, and it is her innate warmth, patience, and sincerity that makes the difference in her care. As one of the few periodontists trained to use soft tissue lasers to conservatively treat periodontal disease, Dr. Angela provides her Newton patients with gentle yet highly effective care. Dr. Angela received her bachelor degree from Boston College and her D.M.D. degree from Tufts University School of Dental Medicine and in 1988 graduated the periodontal program from Tufts University. 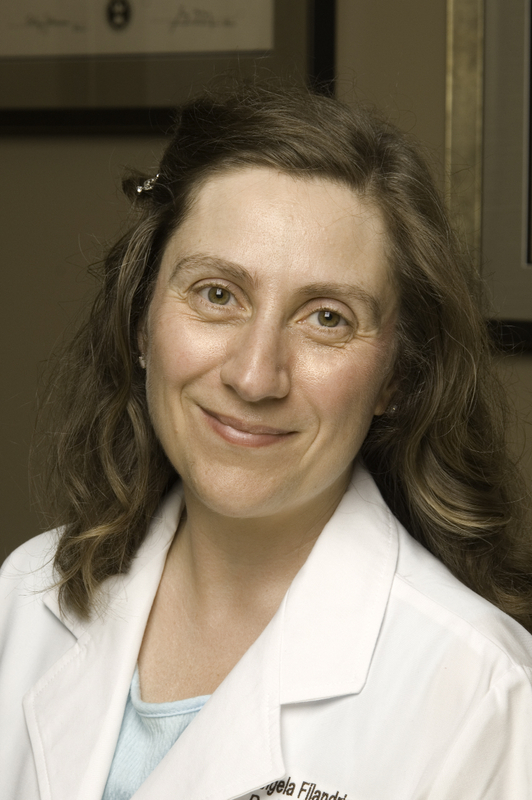 Dr. Angela is associated with the Massachusetts Dental Society, American Academy of Dentistry and American Academy of Periodontology.